The Mursi (6-10,000) are agriculturalists and cattle herders, who cultivate on both banks of the Omo River within the eastern boundary of the Omo Park. Although, this is a relatively small land area, it is the Mursis’ most productive and stable agricultural land and it is densely populated. It is responsible for a roughly estimate of 35% of the Mursi economy, and contains an estimated 35% of Mursi villages. Their diverse economy of flood-retreat cultivation on the riverbanks, rain-fed bushland cultivation and cattle grazing is needed to survive the harsh, arid, land they live in. If the Mursi were denied access to the Omo River, they could only survive by becoming permanently dependent on food aid. The Mursi are culturally and linguistically similar to the Suri. The Mursi say they and the Suri “are one people”. The Mursi lost grazing land that extended to the park headquarters at Mui, when the Omo Park was established in 1966. The Mursi practice a form of divination by reading cow entrails and are known for their ceremonial dueling, or ‘stick fighting’ (thagine), using two-meter wooden poles (dongen). The uncomfortable relationship between the Mursi and tourists. A history of the Omo and Mago parks and the Ethiopian Government’s view of conservation. The Nyangatom (15-20,000) are agriculturalists and cattle herders. Their territory includes the southern area of Omo National Park, where they graze cattle and cultivate on the west side of the Omo River. They are culturally and linguistically different to the other tribes occupying the Omo National Park. They are similar to the Turkana of northern Kenya. 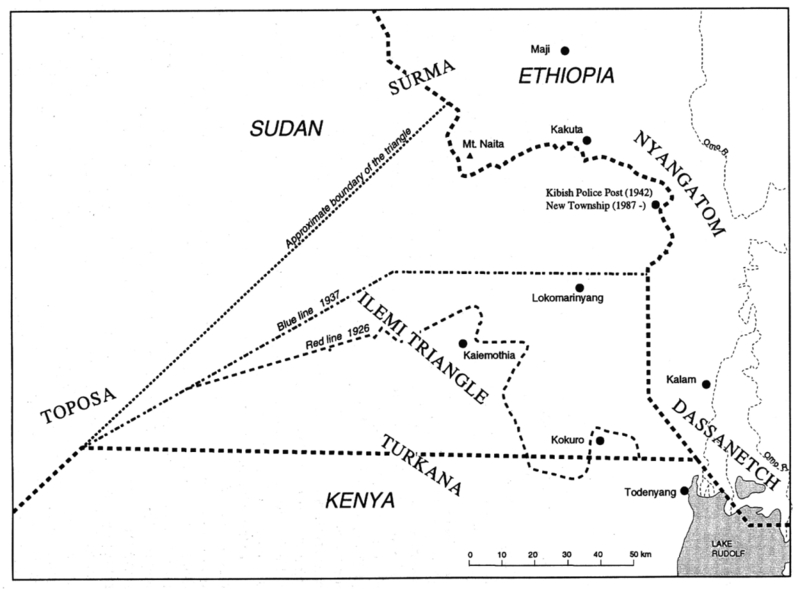 The Dizi, the Suri and the Me’en are three relatively isolated Ethiopian groups the of the Käfa Region, none of whom are well-integrated into the political, administrative, social, or religious life of the Ethiopian state. The Dizi (population about 25,000) are highland cultivators in the well-watered region around the town of Maji (altitude about 2800 m). The Me’en (about 55,000) are shifting cultivators and livestock breeders, who inhabit the lower parts of the highlands and the savanna bushland. The Suri (about 28,000) are agropastoralists, who live in a hot lowland area (altitude 800-1000 m). The Me’en and Suri belong to the same language family, and there are historical and cultural similarities between them. The Dizi differ from them mainly in culture, language and mode of subsistence. The Suri and the Me’en live in more isolated areas than the Dizi, the Suri being the most isolated.